Work with or without music. Perfect with music. Opard offers 30-day free money back, 1-year warranty and life-long technical support. Any question will be responded within 12 hours. Note: This item can not rotate. 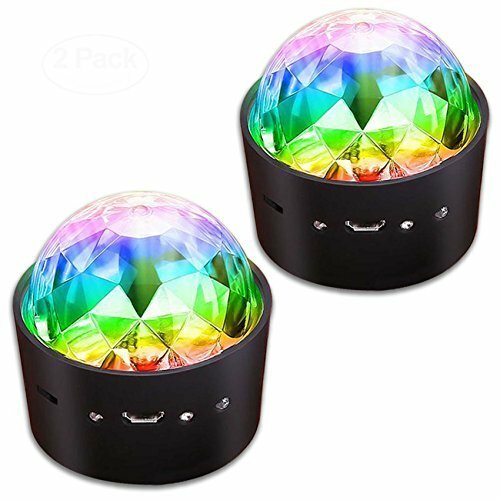 ♪RGB LIGHTING, MULTIPLE MODES: Red x Blue x Green colors, flash in different ways. 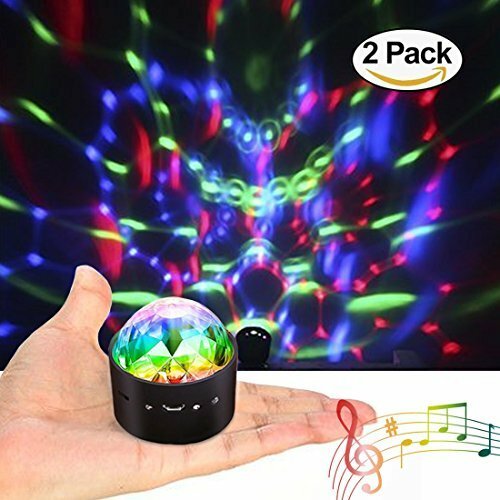 ♪CORDLESS FEATURE & STICKABLE: The wireless disco light is battery operated and USB rechargeable, free of Power Cord. No need to find an outlet and mind the length of cable. There's also a magnetic paste in the bottom, easily attach to the ceiling, table or on the floor. ♪ REACT TO MUSIC RHYTHM: The built-in sound sensor will have the LED lights play to the beat of music when over 60 db. When without music, it will flash regularly. ♪ CONSTANT WORK FOR 4 HOURS: Use built-in battery with large capacity, you can charge with phone adapters, computers or power banks via USB. 30 minutes fast charge, works up to 4 hours. ♪ PORTABLE & EASY TO USE: Mini size about 1.9*1.9*2.2 inches, really small and lightweight. 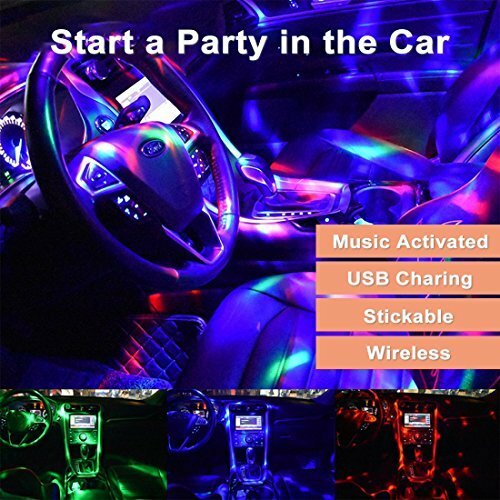 Perfect for use in cars , parties, family gathering, stage, karaoke or a party effect where main power can't get to. If you have any questions about this product by Opard, contact us by completing and submitting the form below. If you are looking for a specif part number, please include it with your message.